In your mechanic’s toolbox, you probably have many tools that have become a necessity to you. The best cordless ratchet is one of those hand tools that is a must-have. With a cordless ratchet, you no longer need to manually ratchet those nuts and bolts. Working on automobiles is much easier with an electric cordless ratchet at your disposal (you can check our selection of air rackets as well here). It doesn’t matter if you are a professional or just like to tinker on the weekends, save yourself some time and energy by investing in the best cordless ratchet. With lithium technology powering our tools these days, you’ll notice that they become lighter, more powerful and charge faster than they ever did before. With a cordless ratchet, you’ll have the power you need to get the job done fast. In addition, it won’t take long to recharge between jobs. Most people choose cordless ratchets with a 3/8-inch drive as they handle most driving and removal jobs. These are ideal when you want to replace an alternator, tighten an accessory or fix a pulley on a piece of machinery. The question is what is the best cordless ratchet on the market? We’ve put together the most popular choices among repair professionals and mechanics to give you our complete review of the tools. This will help you to discover the one that is right for you and help you get back to doing those jobs quickly. If you are planning to use your cordless ratchet for professional applications or on a regular basis, it is in your best interests to invest in the best high-end cordless ratchet. Here are two for your consideration. ACDelco is a common name in automotive tools, so it makes sense to look at them for the best cordless ratchet on the market. This ergonomically designed tool is ideal for working in tight spaces. Featuring 57 ft.-lbs. or torque, you’ll find this ratchet has enough power to handle all your jobs. The aluminum gearbox is durable and lightweight. With a soft, anti-slip grip, you’ll also notice a reduction in fatigue while you work. This tool also features a variable speed and reversible control that has an electric brake switch. This ratchet comes complete with a 12V quick charger, a convenient carrying case and two 12V lithium-ion batteries. Considering it weighs just 2.64 pounds, you can easily take this anywhere with you plus it is simple to store. For the power, additional accessories and feel of this ratchet, you are getting a great value for your money. We recommend this ratchet to anyone that desires a reliable tool for frequent or daily use. With an additional 1-year warranty to back up the product, you know that it will be durable and tough. There is an overwhelming amount of customers that feel this tool is strong and well-built. Several people also mentioned that it was a must-have tool for mechanics. Ingersoll Rand is another popular name in the tool industry and they make a great option for the best cordless ratchet. You can purchase the ratchet alone, but this won’t include the charger or the battery. There are also a couple of kits to choose from. The ratchet itself is a beast with 54 ft.-lbs. of torque perfect for many applications including industrial maintenance, engine repair and basic under-car jobs. The ergonomic handle features a comfort grip which allows you to reach bolts just like an air ratchet would. With the variable speed trigger, you are in control no matter what you’re working on. This ratchet is made to be durable with its all-metal gear train, composite construction, reinforced handle and impact-resistant metal design. This 20V lithium-ion ratchet works with an extended life lithium-ion battery to provide maximum power and hold a charge for longer periods of time. The downside to this tool is the price. It is quite expensive without the battery or charger. If you add in those components, you are looking at quite a large sum of money. This might be worth it for someone that is planning to use it on a regular basis or for commercial applications. It also doesn’t seem to feature the larger amount of positive customer reviews as many of the others we plan to review. The customers that have enjoyed using this ratchet have nothing but positive reviews to give. Not only have they found it to be great for working in tight spaces but also they enjoy how it saves their energy. What’s in the Box: a Bare tool. If you want the charger, batteries or socket set, you’ll need to upgrade to the kits. It’s possible to get the best cordless ratchet and spend under $150. There are a couple of options that work well for the professional and do-it-yourself alike. As you step down slightly in price, keep in mind that you may have to forgo some of the advanced options featured in the higher end tools. This Milwaukee brand is a popular choice for the best cordless ratchet. That’s due to the fact that it features plenty of speed and power from the M12 REDLITHIUM battery. There is up to 35 ft.-lbs or torque at 250 RPM. Auto mechanics and maintenance professionals find this to be the right amount of performance needed to complete tough jobs. This tool measures just 10 ¾-inches long and weighs only 4.2 pounds. That makes it ideal to carry on the toolbelt or take it with you on the go. The ¾-inch head is low-profile which makes it easier to reach into tight spaces and engine bays. When working in a low-light situation, the built-in LED makes it easier than ever to complete your task. Not only does the tool comes with a 5-year limited warranty, but there is also a 2-year limited warranty on the battery. The variable speed metal trigger allows the user to retain maximum control at all times. In addition, the housing is constructed from reinforced steel for maximum durability. The onboard gauge keeps you informed at all times on the battery’s life so you’ll never run out of juice when you need it. While this cordless ratchet might still be on the high side of the price range for some people, it is a great choice for an everyday tool. Those who rely on a ratchet to get their jobs done quickly will be glad they made the investment. Customers have exclaimed that this cordless ratchet makes getting into the engine bay easier than ever before plus is helpful for ratcheting at odd angles. The lithium-ion battery also has many users happy as they claim it lasts for quite a long time while not in use. Warranty: 5-year limited warranty and a 2-year limited warranty on the battery. What’s in the Box: Milwaukee 2457-21 3/8-in Cordless ratchet, M12 battery, a 30-minute charger, a 3/8” to 1/4″ adapter and carrying case. Bare Tool - NO Battery or charger included - both needed to operate tool. Is there much that needs to be said about a Craftsman brand tool? The name itself stands for high-quality and powerful performance as most Craftsman enthusiasts know. Most times, they also offer tools in a lower price range than many others. With 19.2-volts of battery power, you have access to one of the best batteries offered by Craftsman. This is an ideal choice if you need continuous performance over a longer period of time. In addition, this ratchet features a built-in LED work light for darker work areas. This cordless ratchet also features a variable speed setting so it’s fully customizable for each job you perform. The no-load speed is zero to 225 RPM. Besides being easy to operate, the handle is also quite comfortable for extended use. You’ll wonder how you ever completed jobs without this handy addition to your tool collection. The fact that nuts and bolts can be fastened at such a speed might just blow your mind. It does appear that this tool often runs out of stock, so you wouldn’t want to wait on a purchase if this is the tool you desire. Keep in mind that this tool doesn’t come with the battery or charger but works with the 19.2-volt battery from other Craftsman power tools. The majority of customers state that they are thrilled with the amount of power and convenience of this tool. One user talked about how he uses it on his four-wheeler and it works great. If you are on a budget, but still want the best cordless ratchet, here are a couple of options to help you out. If you need a quality cordless ratchet at a fraction of the price, reviewers agree that this Milwaukee bare tool might be the way to go. It’s perfect for maintenance professionals plus mechanics. You’ll need to supply the 12-volt battery which produces 250 RPM plus 30 ft.-lb or torque. At just 1.8 pounds and 11-inches long, this cordless ratchet is ideal for sticking in the tool belt and taking on the go. The slim, ¾-inch profile head makes it simple to reach into the engine bays and other tight spaces. The reinforced steel body adds to the durability while shielding internal parts from shock and impact. With the adjustable speed trigger, you also have control over the speed and performance at all times. Ideally, this cordless ratchet would work well if you already possess the required battery and charger with your other compatible tools. When you are working in low-light situations, you’ll be grateful for the built-in LED light. Some of the higher end models don’t feature this option, so it was nice to see this included in a budget-friendly tool. The other big difference from some of the featured ratchets is that this model comes with a 5-year limited warranty which offers some additional peace of mind. Overall, this cordless ratchet features higher customer ratings than any other we’ve reviewed. One user was happy with the lock button so it doesn’t waste power when stored. They also felt that it was durable and high-quality. If you need the best cordless ratchet at the lowest price possible, this would be your winner. It is geared more toward the hobbyist or occasional user and might not be the ideal choice for professional mechanics or maintenance workers. It does feature a 12-volt Max motor which delivers 35 ft.-lb of torque. At no load, the speed is 280 RPM which is fairly powerful for something so low cost. In addition, it features the variable speed trigger to offer maximum control. There is a forward and reverse lever designed with anti-slip grip to provide superior comfort that enables you to reduce fatigue. The onboard fuel gauge lights up red, amber or green to illustrate how much charge remains in the battery. There is also a built-in LED light for working in dark areas. With the lock-off switch, you never have to worry about the tool starting in your bag or while stored. This saves your battery charge for when you need it most. The intuitive design also prevents you from overloading the battery. Considering the amount of money this cordless ratchet costs, the users are quite amazed at the performance. One person found it to be helpful when working on their car while another commented that it completely transformed how he works. Before you head out on a hunt for the best cordless ratchet, there are some things you’ll want to know. Here are the various factors you’ll need to consider before making a purchase of the best cordless ratchet. The higher your torque, the more power you have and the faster you’ll get a job done. Ideally, you want to purchase a cordless ratchet with the most torque and speed you can afford. The best cordless ratchet is going to be simple to handle and easy to use. Make sure it is well-insulated to prevent shock. Also look for a large trigger and soft grip. You don’t want to be limited in where you can use the ratchet. The best cordless ratchet should be functional in both wide-spaced locations as well as tight spaces. Most reputable manufacturers are going to back the quality of their product with a decent warranty. With this guarantee, you know that any natural defects will be covered so you can have some additional peace of mind with your purchase. This is especially important when you are spending up to $200 on a power tool. While everyone wants to own the highest quality cordless ratchet, it simply isn’t in everyone’s budget. Price tends to be a significant consideration when purchasing any new power tool. While saving money is a good thing; you don’t want to buy a piece of junk that is going to break. That’s why it’s important to ensure that a lower price doesn’t mean poor quality. Read through customer reviews to get a feel for the durability of the cordless ratchet. Also check the specifications for the warranty to see if you are covered. If you must purchase a low dollar power tool, make sure you take care of it properly to further extend the lifespan. Another important consideration is the brand of cordless ratchet you purchase. Most people prefer the Milwaukee or Ingersoll brands, while others are loyal to Craftsman for their power tool needs. 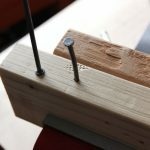 If you’ve had a good experience with a particular brand, it makes sense for you to stick with that brand for your future power tool purchases. This is especially true if you have used the company’s support and have been pleased in the past. Try to stay away from purchasing a cordless ratchet from an unknown manufacturer as it can be difficult to determine the durability and support you’ll receive. There are two types of cordless ratchets that are on the market. This includes the air ratchet and electric ratchet. It is important for you to understand the difference between the two if you want to find the best cordless ratchet. Impact ratchets are geared toward providing a high power-to-weight ratio to tackle the hard labor jobs of removing bigger nuts. Because they feature high torque, they generate a hammering action. You’ll find models capable of producing up to 550 ft.-lbs. or torque. Most of them come as full-size tools but there are a few smaller models for getting into the tighter spaces. With an air impact ratchet, there is no battery attached as the tool is powered by compressed air. This means you’ll have to be near your airline at all times to utilize the ratchet. 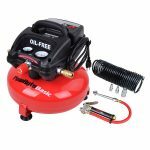 This is acceptable for someone that always performs their work in the location with their air compressor, but might not be ideal for someone looking for portability. One of the perks of having an air impact ratchet include that they are usable in any condition as water won’t affect them. As we’ve reviewed above, electric ratchets contain a rechargeable Lithium-ion battery that produces high torque. They are perfect for unlocking nuts and bolts but tend to be slightly heavier than the air impact ratchets. When you are looking for a solution that allows you to be portable but still operate at a higher rate than with hand tools, the electric ratchet is a great option for you. Finding the best cordless ratchet doesn’t have to be a difficult task. Simply evaluate your needs, examine your budget and read the reviews above to find the tool that will suit your line of work. Once you’ve invested in a cordless ratchet, you’ll wonder what took you so long. It will save time, increase productivity and make your life easier. Just think of how many more projects you could tackle with a power tool like this.